Finding the perfect gift can be tough, which is exactly why we offer gift cards. They make great presents for relatives and friends, and are a fantastic way to thank someone special. The Magicshine Digital GiftCard that always fits. Email them an e-GiftCard, usually delivered in minutes, or choose a special delivery date. Customize with a personal photo or message. Finding the perfect gift can be tough, which is exactly why we offer gift cards. They make great presents for relatives and friends, and are a fantastic way to thank someone special. 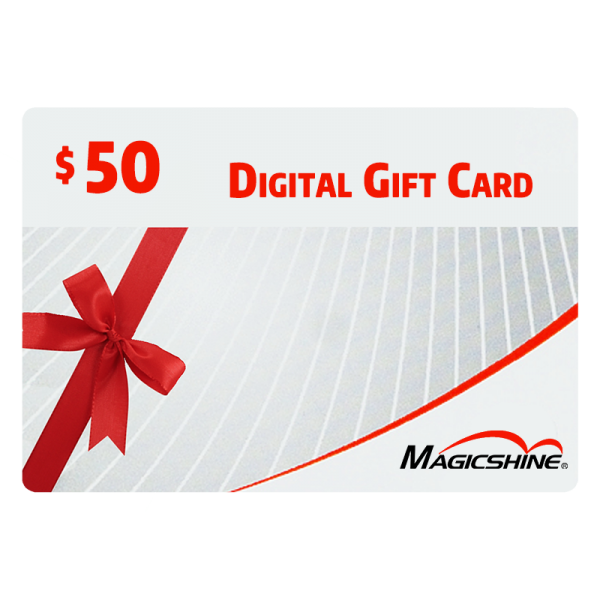 The Magicshine Digital Gift Card that always fits.